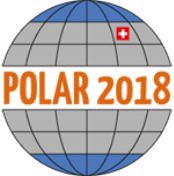 We would like to invite you to be part of POLAR2018 by sponsoring an event, a service or a specific item. POLAR2018 offers unique and highly visible opportunities to present your organization or your products, while being in direct contact with your target audience. Download the sponsoring brochure below and have a look how you could best present your company. On the list of available items, you can check if your choice has already been sold or is waiting for you. Please do not hesitate to contact the conference manager if you wish to inquire about a sponsorship item.